Two years of filming and another six months to go before the Documentary of the Hippodrome is complete and have we been on a journey covering the vast re-development and the history from 1900. This has been an exciting challenge making new discoveries every day. The history alone has been like opening Pandora’s box, many great iconic stars have performed at the Hippodrome or started their careers there from Audrey Hepburn to Charlie Chaplin. Houdini did his great escape there in 1904 called the Mirror Cuff Challenge. Although 112 years does not sound long in historic terms it is long in entertainment years. Entertainment is like fashion the format and seasons change, the public get bored and want a new concept to entertain their pleasure. The Hippodrome has seen it all. Queen of Extreme Productions have done some mad things on this production from filming in the muck and dirt, crawling through pipes and holes, and hanging for dear life off scaffolding with cameras 70ft off the ground, to chasing dwarfs and one legged cyclist. Yes, there are moments of madness, but what fun it is. 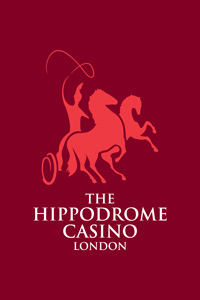 Simon and Jimmy Thomas’s creative vision to give the Hippodrome its heart and soul back and respect its heritage are a true inspiration to work with. It is always inspiring to work with entrepreneurs who have guts and gumption to take on a projects like this in tough economic times, but it is just what we need and more of it. Not only has this project created hundreds of construction jobs, it will create hundreds of more jobs when the Hippodrome opens. Queen of Extreme Productions is passionate about this project. It has been one of our longest productions as we can only go at the same pace as the development, but the end result will be worth it. Great article. Enjoyed the energy and insight of this historic venue.